Ivy Morgan is happy with who she is, and what she can do. She certainly doesn't need to second guess her life, or her witchy ways... that is, until Shadow Lake's newest police detective enters her life. 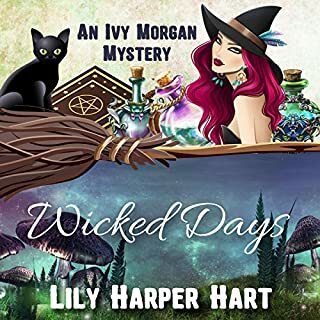 Jack Harker is haunted by a past he refuses to talk about, and he's not looking forward to a future with anyone - especially a sassy witch with boundary issues. I really enjoyed the story -- of this volume, as well as the rest of the series -- but Angel Clark's narration made it painful to listen. Her high-pitched, shrill, and whiny rendition of the main character, Ivy Morgan, made Ivy seem an incredibly immature, empty-headed, petulant 12-year-old. Her idea for making the Police Chief distinguishable from other characters was to utter his dialog in a screaming voice, speaking as if he were a brain-damaged dunce in a child's cartoon. I doubt the author intended that for either of her characters. How Angel Clark gets jobs narrating is beyond me, as I've heard other samples of her reading, and the voice is always the same high pitched, whiny, shrill noise used in this volume. She must be related to someone well-placed in the publishing business, because she surely isn't being hired for her talent. Although I enjoy Lily Harper Hart's writing, I won't be purchasing any other volumes that are narrated by Angle Clark. It's just too painful and annoying to hear ... what a shame that a good author has to suffer for a choice over which I doubt she has any control. A New Twist for Holmes & Co. Highly creative, exceptionally entertaining, and downright brilliant! 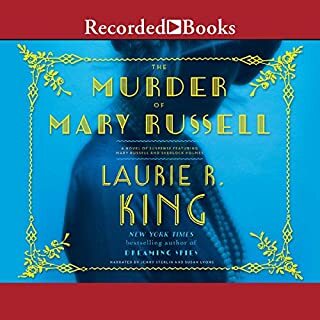 Laurie R. King’s “Mary Russell” series is one of my top five favorite literary series of all time, and #14, “The Murder of Mary Russell,” is the best volume thus far! King exhibits an uncanny ability to take the deep and subtle insights she's gained into the psyches of the characters she creates, and then weaves credible, yet extraordinary circumstances and motivations into her story that couldn't possibly be anticipated, but which always fit tight. In addition, King never fails to draw out intense emotional responses from me, which I find most gratifying! Usually, once a novel is finished, I pick up another without pause, but “The Murder of Mary Russell" has left me wanting instead to just sit for awhile and marinate in the profound satisfaction I'm feeling from my reading experience. Thank you so much, Laurie R. King! You are an extraordinarily talented artist and visionary! I look forward with great anticipation to your future offerings. If you could sum up Once a Crooked Man in three words, what would they be? What does David McCallum bring to the story that you wouldn’t experience if you just read the book? Have you ever heard his voice?! OMG! The tone and cadence make anything he reads worth hearing. His is also a voice that inspires a feeling of "safety." The point at which Harry overheard the conversation of criminals while taking a leak in an alley on the side of a Chinese restaurant. The only downside to being an avid reader is eventually gaining an ability to identify a plot line too quickly, and that definitely takes some of the pleasure out of the reading. 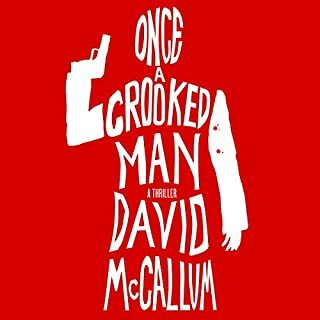 I was delighted to find that that was NOT the case with "Once A Crooked Man" by David McCallum. The story line was solid, imaginative, unique, and dynamic, and throughout the book, I had no idea what was coming next – which made it all the more exciting! The multifaceted personalities of each character unfolded naturally, making them believable and easy to identify with, and demonstrated McCallum's deep understanding of both human nature and the fickleness of fate. Though complex, the story flowed smoothly, and at the end, all tied together in a manner that brought reader satisfaction and fulfillment. And of course, hearing David’s lovely voice read it was extra yummy. I really hope he will write a sequel to OACM because, as with all good stories, the characters become like friends with whom we wish to visit again and again. 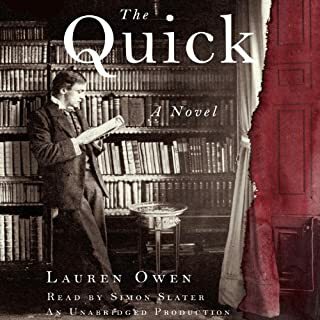 1892: James Norbury, a shy would-be poet newly down from Oxford, finds lodging with a charming young aristocrat. Through this new friendship, he is introduced to the drawing-rooms of high society and finds love in an unexpected quarter. Then, suddenly, he vanishes without a trace. Alarmed, his sister, Charlotte, sets out from their crumbling country estate determined to find him. In the sinister, labyrinthine city that greets her, she uncovers a hidden, supernatural world populated by unforgettable characters. Well, it would have to have a cohesive storyline, continuity of action, and be a lot less confusing ... and alas, less boring. I found it a waste of my time. Very disappointed. The narrator was great, which is the only reason I followed it to the end. It's just not a very interesting story. Seems more like someone decided to try to copy other popular vampire stories, but utterly failed. 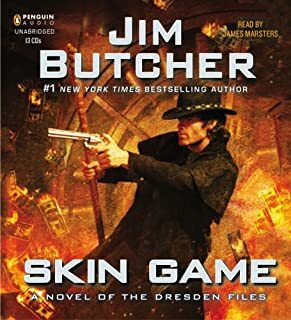 Skin Game -- The Best Dresden Ever! 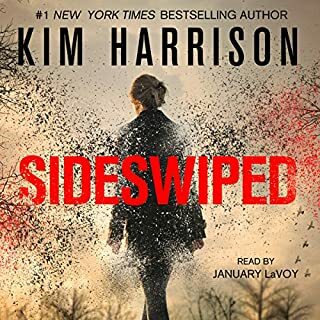 Where does Skin Game rank among all the audiobooks you’ve listened to so far? Jim Butcher's Dresden Files is one of my top 10 series of all time. Rarely does any series delivery a better, more exciting story than the original with each new volume. Book 15, Skin Game, is by far the best of the series so far -- and that's saying something! I'm consistently surprised with Butcher's ability to imagine unique, dynamic, and interesting story lines, to lay them out beautifully, smoothly, believably, and at the end, tie all together in a manner that brings satisfaction and fulfillment to the reader. I hope he keeps writing Dresden forever! What other book might you compare Skin Game to and why? There are no comparisons that come to mind. This is a truly unique and dynamic series. My favorite character is, of course, Harry Dresden. I also love his vampire half-brother and the amazing chemistry between them. I have thoroughly enjoyed the evolution of Molly, Dresden's acolyte, and now the Winter Lady. And Bob the Skull -- well, the stories just wouldn't be the same without Bob. Yes and no. I didn't want to stop listening -- it was SOOOOO excellent. On the other hand, I knew I'd have to wait another year for the next installment, so wanted to savor the volume for as long as possible. It ended up taking two days -- and that was with a great deal of self-restraint. Butcher is an excellent author and I have enjoyed other of his works, but he truly shines brightest when channeling Harry Dresden more so than any of the other characters he's created. His imagination and creativity has brought a great deal of joy to his many readers. Thanks, Jim! Keep up the good work! 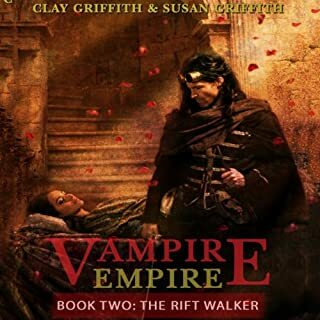 Would you consider the audio edition of The Rift Walker to be better than the print version? This is a great series. Not the same old vampire story -- fresh, original, enticing mythology -- with a fabulous narrator, James Marsters! I can't wait for book 3! 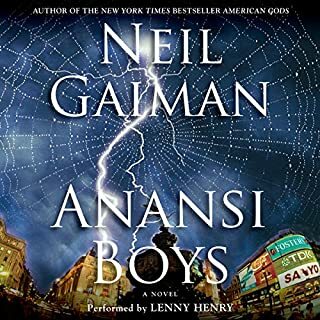 Anansi Boys was fabulous! Neil Gaiman is a masterful storyteller with imagination and understanding of the supernatural world usually reserved for the oral traditions of indigenous peoples who pass down their tales through generations. I was inspired! Thank you, Neil! 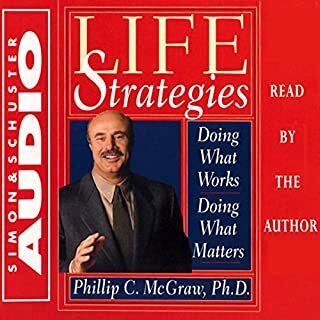 This book is full of awesome good sense, presented in a way that directs the reader's focus to taking one sensible step at a time to reach their goals. Re-minds us of common sense strategies that aren't so common. Excellent read! This book can help lift the ceiling on our beliefs to achieve a more genuine connection with God through workable, sensible, honorable methods of prayer in the empowering way that was intended by the Ancients. Knowledge of the past can break the bonds of modern fear-based religious conditioning and dispel superstitions which encourage us to close our minds and refrain from questioning. 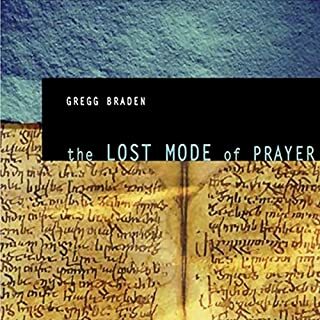 The Lost Mode of Prayer provides a better understanding of our part in the process of prayer and can return both joy and responsibility to our relationship with the Divine. Gregg's endless enthusiasm, academic brilliance, spiritual wisdom, and utterly unpretentious manner make this an additionally delightful selection. Highly recommended.